Bus : N° 7, direction Les Bouisses, stop Gustave Eiffel. 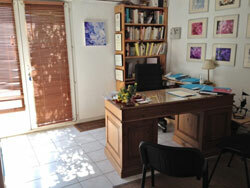 I have been receiving clients privately since 2006, and worked in Child Protection for 8 years in Montpellier. I offer counselling for adults and adolescents in English or in French. Raised in London, I have lived in Montpellier for several years. 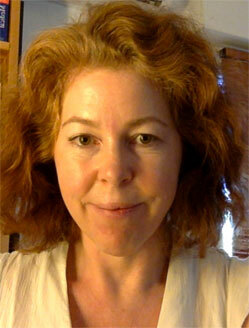 I trained as a clinical psychologist both in England and in France. In my private practice, for most patients, my preferred approach is CBT (Cognitive Behavioural Therapy), which focuses on identifying and resolving the specific difficulties you are currently facing : depression, phobia, anxiety, relationships, eating disorders, difficulties at school, in the work place... The techniques adapt easily to a vast range of issues and allow the client to become an active participant in the therapeutic process. According to several validated studies, CBT offers a more rapid success rate” than most other approaches. For clients who have experienced trauma (single event ‘big T’ trauma or multiple, repeated ‘small t’ traumas), I find that EMDR is a particularly effective method. Trauma can have a lasting impact on our ability to act positively or rationally in certain situations and the emotional pain is not lessened with time. EMDR enables our brains to integrate the painful experience more completely, freeing us to react in a more adaptive way, unhampered by our extreme emotions. I also draw on Systems Theory (the study of relationships rather than individuals), Transactional Analysis and Psychodynamic Theory. Sessions are face-to-face and interactive. They are completely confidential. My priority is to provide the most appropriate support and tools for each individual client so that, together, we can confront and find the best approach and solutions depending on the client’s needs, personality and availability. In my experience, the best rhythm is once / week or once / two weeks, especially if the client is prepared to do work - mutually defined - between meetings. If we have already worked together in the past, I offer top up sessions as necessary. I am registered with the local health authority (DDASS) as a practising clinical psychologist. My ADELI number is 349304428. Skype / FaceTime sessions are available for clients with whom a working relationship has already been established, either on an occasional basis or if the client moves to live elsewhere.